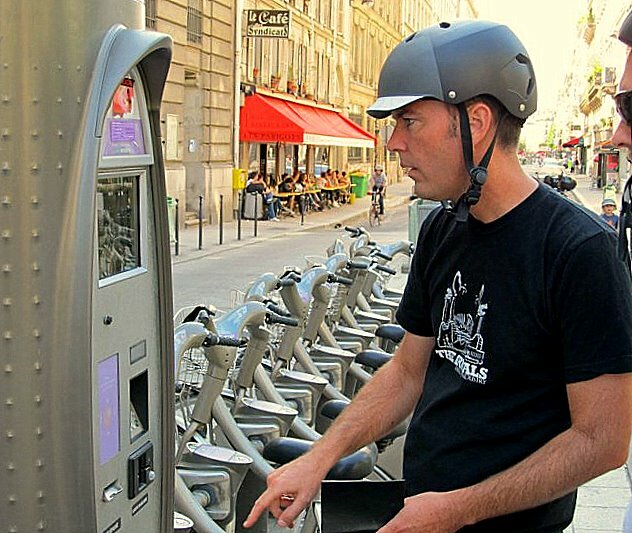 — Since Paris Mayor Bernard Delanoe introduced the first Velib rental bikes in 2006, Parisians have embraced the bicycle in numbers not seen since World War II, says Bicycling magazine. Today no less than 20,000 Velib bikes, can be found a hundreds of stations on the city streets of Paris. As a result, cyclists can simply pick up a bike from one of the stations, go for a ride, and drop it back at any station they choose. But this quiet revolution would not have possible if it weren’t for the expansion of bike lanes or bike-friendly lanes. Currently the mayor’s office claims 645 kilometers of protected or semi-protected routes. — The Leopard-Trek cycling team is joining forces for the 2012 and 2013 seasons with the RadioShack team formerly led by seven-time Tour de France champion Lance Armstrong, according to news service reports.